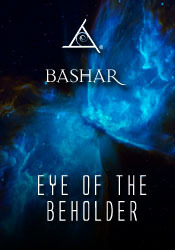 This early Bashar session takes an in-depth look at first contact. Bashar explains what goes into establishing contact with beings who operate on very different frequencies that may not necessarily be compatible. He goes into detail about the changes that each of us can make to accelerate and enhance our own contact with advanced civilizations, how to make the process as quick and pleasant as possible by being the change we’d like to see in the world. This discussion of integration and connectivity is essential for those who prefer to create a tolerant, post-racial world, and accelerate their ability to connect with higher-vibrational beings.